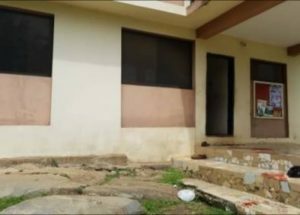 Bishop of Anglican Communion, Akure Diocese in Ondo State, Right Reverend Simeon Oluwole Borokini has said he suspects bank officials have a hand in the robbery and murder of the church’s bursar on Thursday. He thanked security officers for the quick response, adding that they came on time but the bandits had already escaped before their arrival. Gabriel Abiodun was 60-year-old and the Bursar of the Akure Anglican Diocese, in Ondo state before his demise on Thursday morning while discharging his duties. Abiodun was killed by men suspected robbers, shortly after cashing a sum of N500,000 at a new-generation bank. 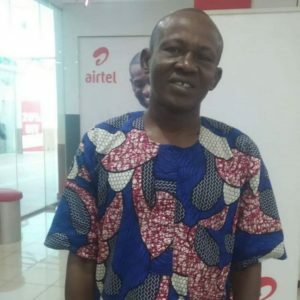 Meanwhile, an eyewitness told Saharanews that Abiodun was trailed from the bank by gunmen to the diocese in Alagbaka axis of the state capital, where the money was collected and he was shot dead. The witness narrated that “The man (bursar) had just returned from one of the new generation banks where he had gone to withdraw some funds, which we learnt was probably meant for retirees. The money was about N500,000. He was shot in the thigh. “I think the armed robbers attacked him, collected the money, before they escaped from the premises. By the time we came out of the building, there were blood stains everywhere on the floor. It’s a very sad thing.” He said. In another development, the spokesperson of the Ondo Police Command, Femi Joseph has confirmed the incident in a telephone interview. However, Security in the area has been tightened up and unauthorized entry into the scene is restricted. This entry was posted in Christianity, Crime, News and tagged Anglican Communion Diocese in Akure, Ondo state, Reverend Simeon Oluwole Borokini. Bookmark the permalink.